SEJONG -- Korea's finance minister has proposed an economic consultative body with Latin American countries as a means to strengthen cooperation, the finance ministry said Monday. 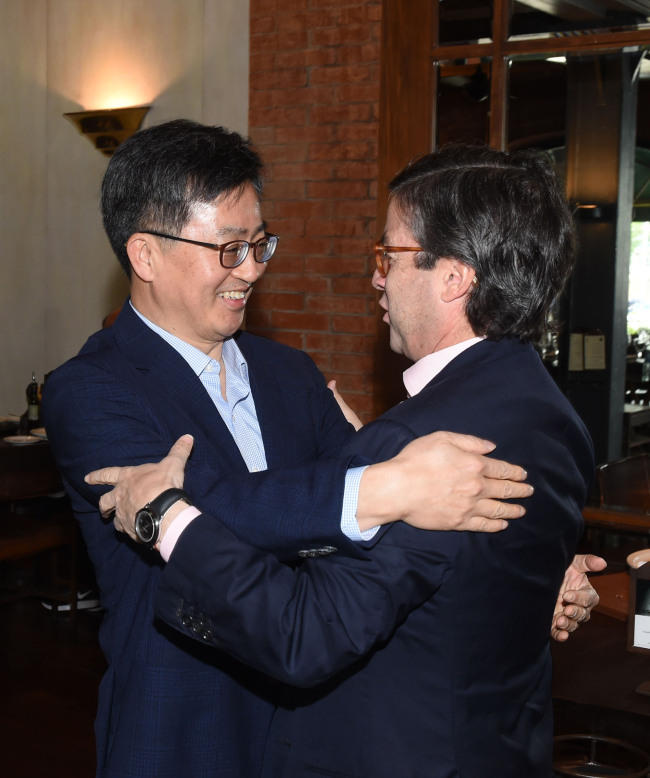 In a meeting with Luis Alberto Moreno, president of the Inter-American Development Bank, in Buenos Aires, Argentina, on Sunday, Seoul's Finance Minister Kim Dong-yeon contended that the consultative body is necessary to bolster ties between Korea and the Latin American region. The two sides also agreed to expand a program for human resources exchange under which young Koreans would get a chance to work at local firms, according to the ministry. Last year, Korea said it will expand joint financing with the IDB in a bid to play a larger role in infrastructure-building projects on the populous continent. The two sides signed a memorandum of understanding to raise $300 million for joint financing with the IDB, upgrading the existing $100 million fund. Created in 2015, the Korea-IDB joint fund is aimed at providing loans to infrastructure development projects in Latin America.